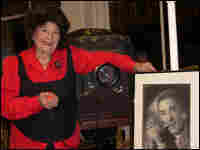 'Duchess' Demands $10M To Leave Carnegie Hall Editta Sherman has lived above Carnegie Hall for more than 60 years. 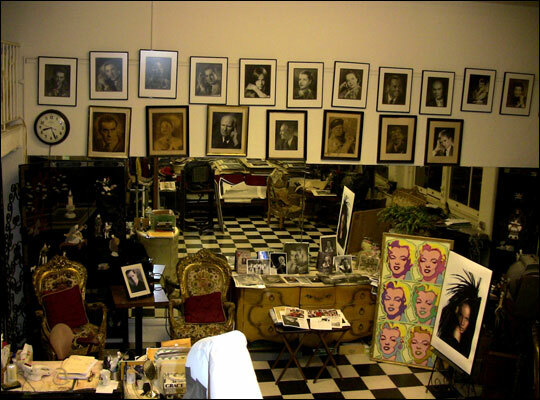 In her home studio, she has photographed some of the most famous names in show business. Now, Carnegie Hall is trying to evict her. "I only have three years to be 100," she tells us as part of the reason why she's going to put up a fight. 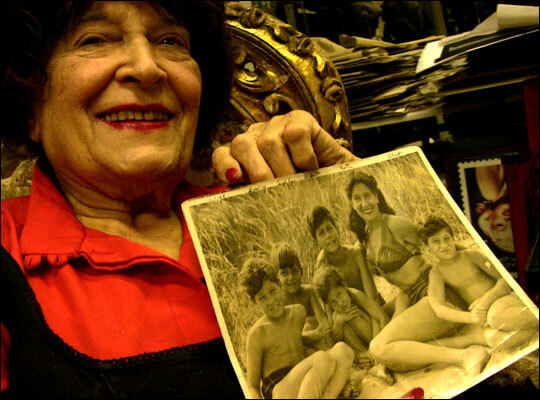 Editta Sherman holds a picture of herself as a young mother with five children taken by her beloved husband, Harold Sherman, shortly before he died from diabetes. Sherman poses with her 100-year-old 8x10 camera and a photo she took of actor Anthony Quinn. Photographer Editta Sherman has lived above Carnegie Hall for more than 60 years. In her home studio, she has photographed some of the most famous names in show business, including Elvis Presley, Cary Grant and Marlon Brando. Now, Carnegie Hall is asking her to leave. But the self-proclaimed "Duchess of Carnegie Hall" tells Alex Chadwick that she is not leaving her rent-controlled studio without a fight. "I don't think they can put me out; I'm 97 years old coming up. I only have three years to be 100, and I am still skipping rope and running around; I have no wrinkles on my face," she says. "I'm not going to leave. I don't think it's right that they do this, because I need my skylight." She says she would not be happy living anywhere else and has agreed to leave only if Carnegie Hall agrees to pay her $10 million. Though this seems like an extravagant number, Sherman insists it is only fair if she has to leave her historical studio. "It could be less if I want to move, but I'm not going to feel happy about moving out somewhere else," she says. "I've been here that long and people know me by the [name] Duchess of Carnegie Hall." In 1896, Andrew Carnegie built the famous concert hall and constructed 300 studios for artists to live and work in. The studios boast an array of skylights unique in a city where most people are packed into tiny apartments. 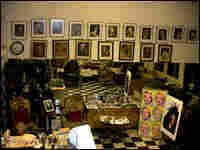 Artists would perform at the hall and come to Sherman's studio to be photographed. To this day Sherman still uses her 100-year-old 8x10 camera, and her famous portraits lie in every corner and on every wall of her space. Carnegie Hall officials told New York Magazine that they want to renovate the studios to make way for offices and classrooms for young musicians. "They want to reconstruct the studios, because they don't seem to have enough space for people to come in and do their music and so on," says Sherman. Ultimately, Sherman says it's not about the space — it's about the memories of artists, musicians and celebrities who have come through her studio. "Tyrone Power was just crazy about this place and he brought Eva Gabor here one morning," she says. "I can't forget this [place] with Tyrone Power and I feel that he's here."